The classic contemporary workwear jilbab perfect with chic hijab here in The Best Islamic Clothing online store. Looking smart and elegant to work in Islamic clothing will never be difficult anymore! Its refined finish makes a statement in this Islamic fashion and it is a perfect preference for Muslimah who want to look professional and modest at the same time. This officewear jilbab which is usually front opening type is also perfect for wearing over an abaya, or layering with pants or a skirt. The jilbab is made from quality suiting materials to give crisp look with simple yet classic design, make it ideal for formal wear for any work environment. The pointed collar for a jilbab and variety of colors especially mute tones, add to its charming and professional look. Some of us like myself prefer dark color jilbab for everyday suit at work with matching shayla or pashmina hijab of vibrant colors to complete our office wear attire. 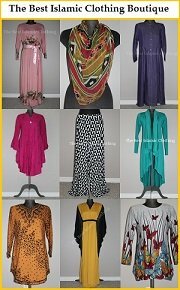 To view prices and to see lots more color choices, just CLICK on the highlighted product links for information and online order.